What God gave us is good! Why does man feel the need to complicate everything! So it has been only about three weeks of trying to eat cleaner and a visit to my friends house with a taste of her newly found “Sticky Home made Caramel Popcorn” and my little sweet tooth is back. I got the recipe for the Popcorn so I look forward to posting that in a future post after a visit to the Sugar Bush later this week. With Easter around the corner I decided it is better to make something to satisfy my little craving instead of waiting until Easter where there would sure be enough treats to sabotage most of my success to date. I have been looking endlessly for healthy cookie options and have found that most choose better ingredients but there is always some sugar involved. My half Scottish side couldn’t resist the many simple shortbread recipes I came across and I ended up loving the post by Love and Lemons for their Vegan Almond Shortbread Cookies, you can check theirs out by clicking here: Love and Lemons Post. I didn’t have a lot of the ingredients on hand except for the Earth Balance shortening so I had to sub many of the ingredients. Removed shortening from the refrigerator a few hours before baking to ensure it had time to adjust to room temperature – alternatively you can always throw the shortening in the microwave for a few seconds as well. I didn’t have powdered sugar on hand as I am trying to keep refined sugar products out of my kitchen so I took 3/4 cup of cane sugar and threw it in my NutriBullet with the milling blade to make powdered sugar. It worked wonderfully – I was a little nervous as that experiment was a first! Make sure to remeasure as I had more than one cup after so I had to put some excess aside, put 3/4 of a cup in your mixing bowl. I don’t have all purpose or millet flour on hand so I had to improvise for this step as well. I did recently pick up some coconut flour so I decided to use that for half the flour requirements. I measured 1 cup and placed it with the sugar in the mixing bowl. I know a lot of shortbread recipes call for rice flour so I decided to take some of my brown basmati rice and mill it in my NutriBullet to ground it up into brown rice flour. 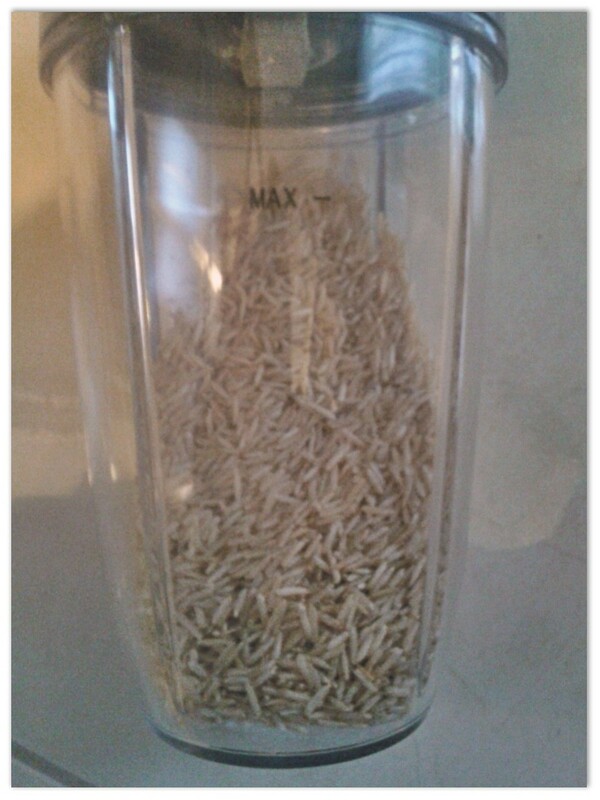 Unlike the sugar one cup of rice did equate to one cup of brown rice flour. I also added this to the mixing bowl. 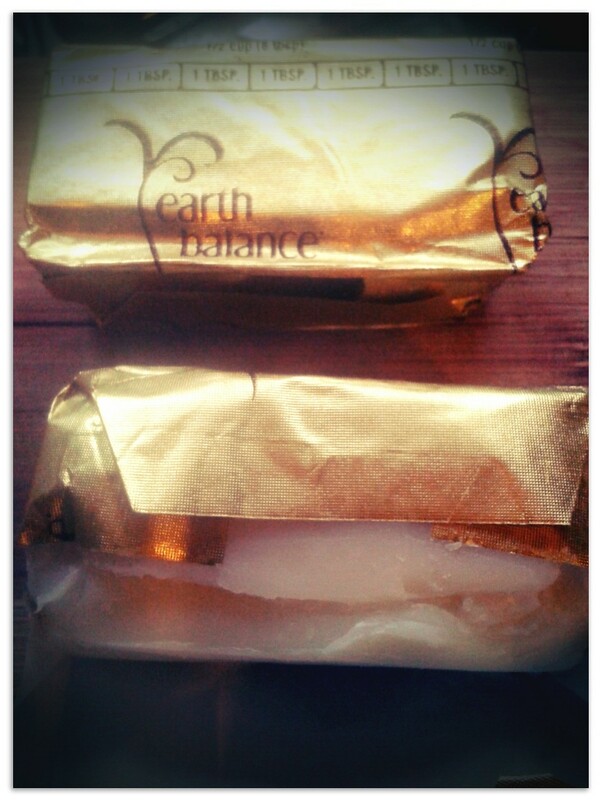 I took my Earth Balance shortening sticks and added them with the dry ingredients. At this time you can add a dash of vanilla extract or any other kind that you prefer. I tried mixing everything together with a masher but that didn’t work very well! I did get the shortening all broken down where I then had to use my hands. Using my hands worked very well and I had the cookie dough mixed in no time. I don’t have any cookie cutters so I decided to go with the cookie squares. 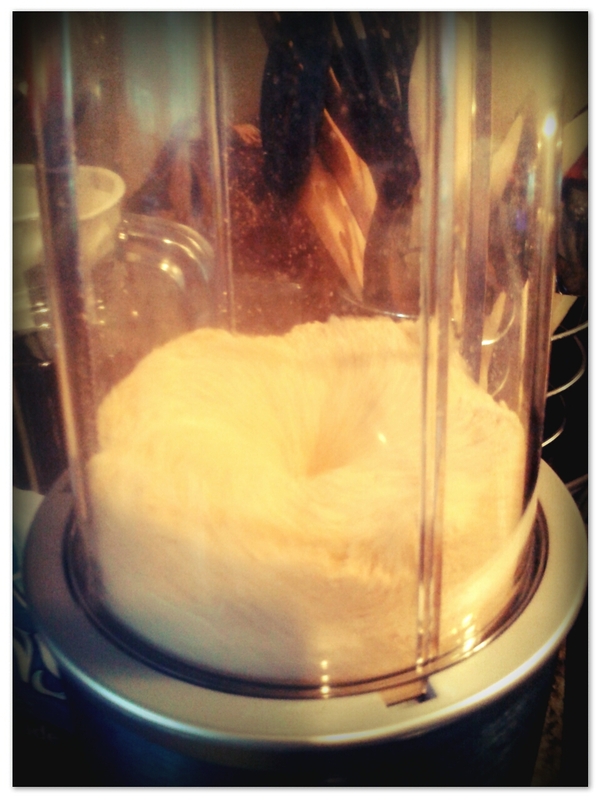 I placed the dough into a greased glass square pan and smoothed it down until it was relatively flat. I then sprinkled roasted cinnamon over top to get that hint of cinnamon with the sugar taste! Place your pan in the oven – I didn’t preheat mine so I just put the timer on for 25 minutes. I can’t wait to try one – they smell delicious! This entry was posted in Desserts and tagged Baked Goods, Baking, Coconut, Cookies, Dessert, NutriBullet, Shortbread, Sweet, Treat, Vegan on March 26, 2013 by maccaronee.